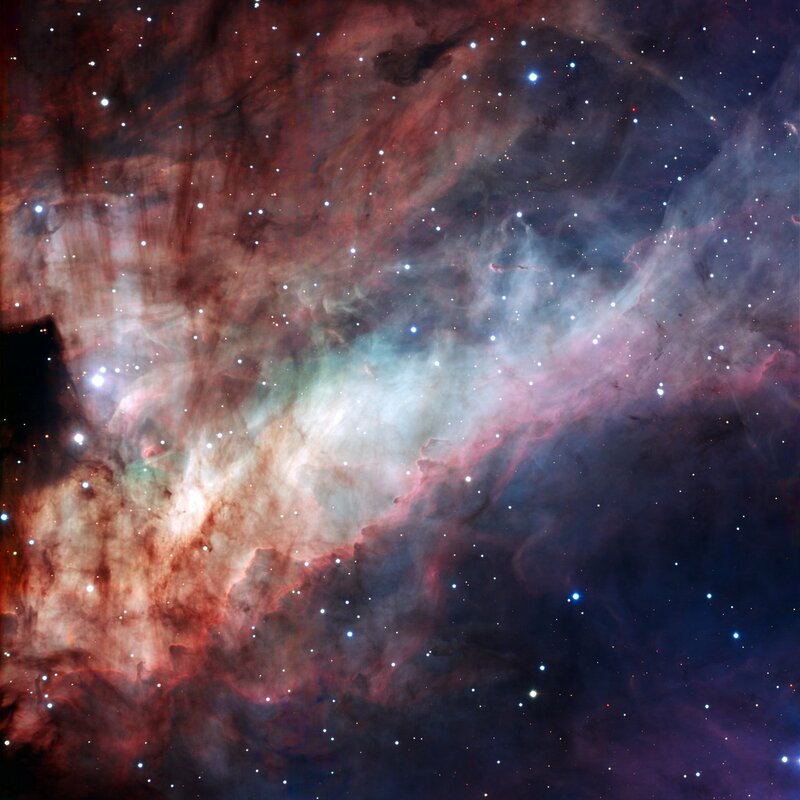 The Omega Nebula, a stellar nursery where infant stars illuminate and sculpt a vast pastel fantasy of dust and gas, is revealed in all its glory by a new ESO image. 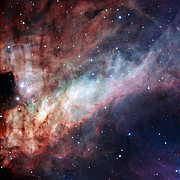 The Omega Nebula, sometimes called the Swan Nebula, is a dazzling stellar nursery located about 5500 light-years away towards the constellation of Sagittarius (the Archer). An active star-forming region of gas and dust about 15 light-years across, the nebula has recently spawned a cluster of massive, hot stars. The intense light and strong winds from these hulking infants have carved remarkable filigree structures in the gas and dust. 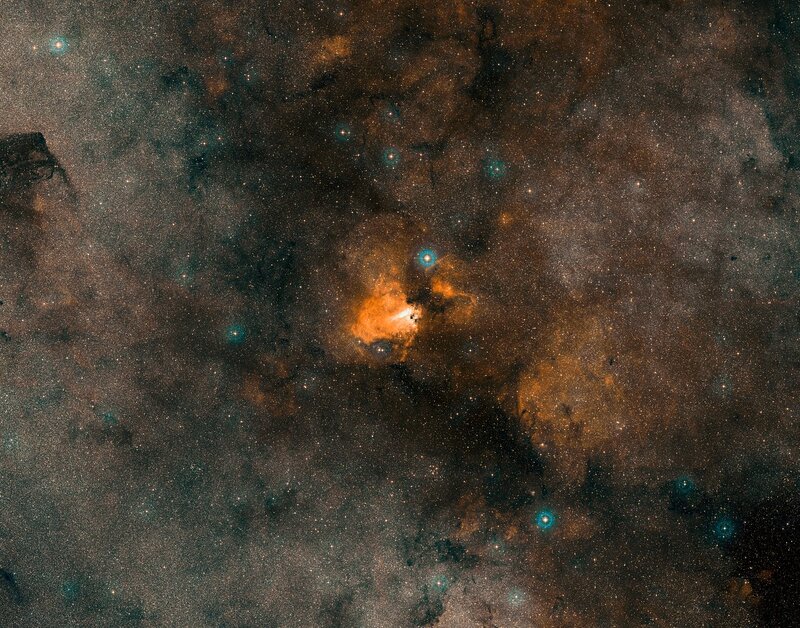 The newly released image, obtained with the EMMI instrument attached to the ESO 3.58-metre New Technology Telescope (NTT) at La Silla, Chile, shows the central region of the Omega Nebula in exquisite detail. In 2000, another instrument on the NTT, called SOFI, captured another striking image of the nebula in the near-infrared, giving astronomers a penetrating view through the obscuring dust, and clearly showing many previously hidden stars. The NASA/ESA Hubble Space Telescope has also imaged small parts of this nebula (heic0305a and heic0206d) in fine detail.